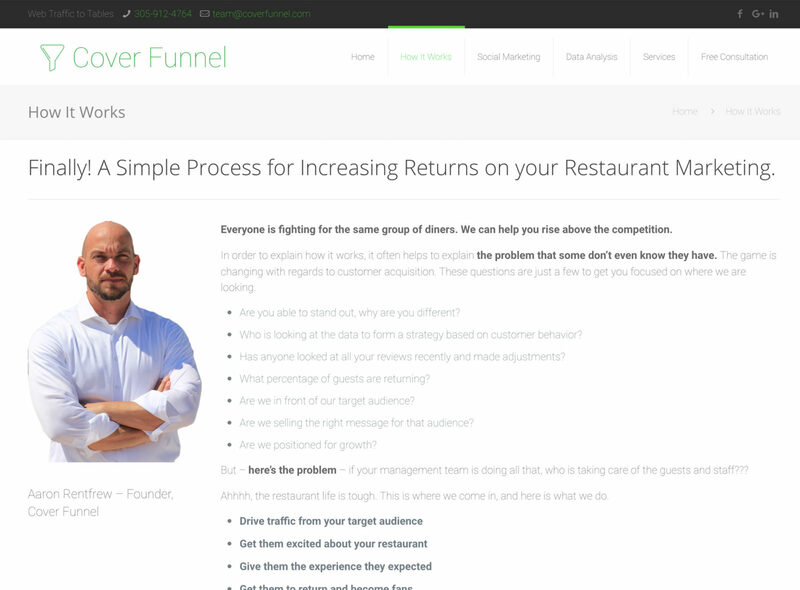 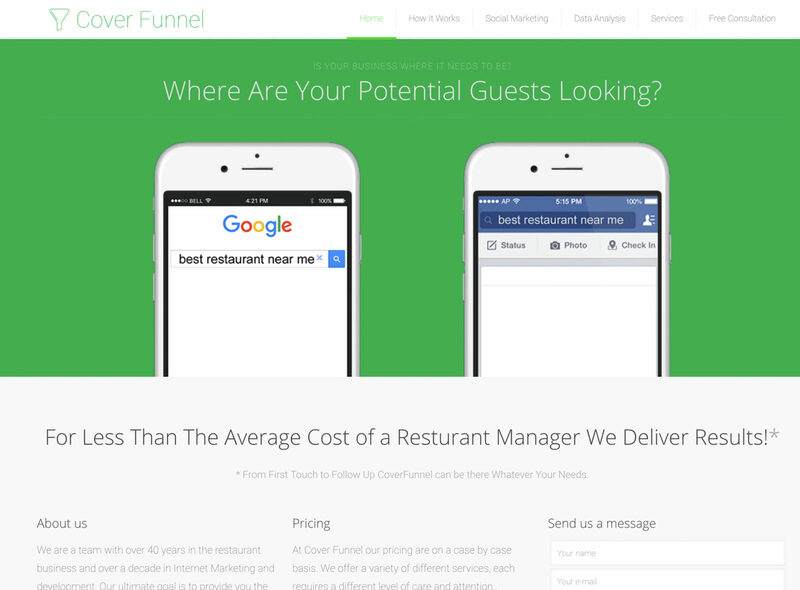 Aaron Rentfrew, Founder of Cover Funnel, was looking to launch a new Restaurant Marketing and Optimization Services and needed a strong online presence to showcase his talent and services. 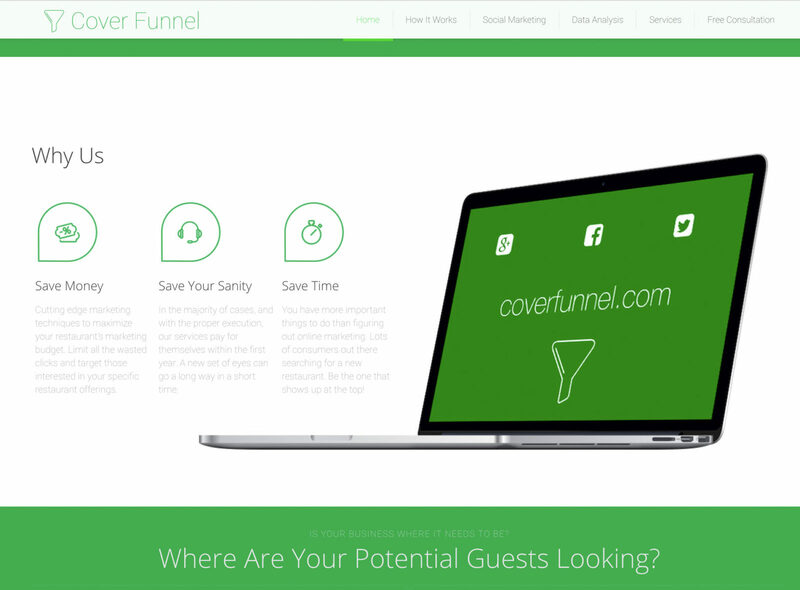 We built a website that put content and trust at the forefront of the design and enabled him to capture leads. 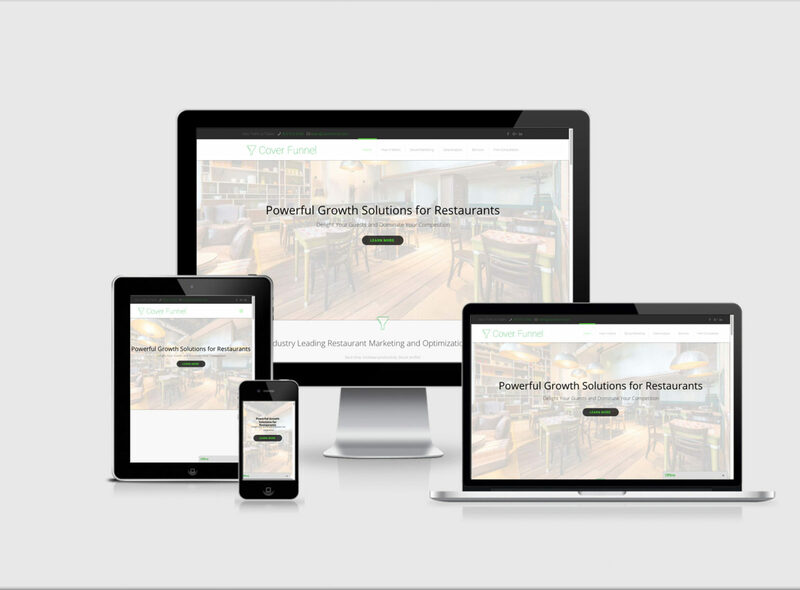 Then we followed up with some light SEO and a 3 month Google Adword Sprint to drive traffic.